In June 2013 I found out I was pregnant and at our 20 week scan we found out we were having a little girl. We soon set about the task of buying everything we needed for the baby. The first thing we started to think about was where who’s Lily sleep? It’s such an important decision and one that at the time we were keen to get right; we wanted to make sure everything we bought followed the Lullaby Trust safe sleeping guidelines and we also wanted everything to be comfortable for Lily; in the hope that this might buy us the odd extra 20 minutes sleep here or there if she was cosy! 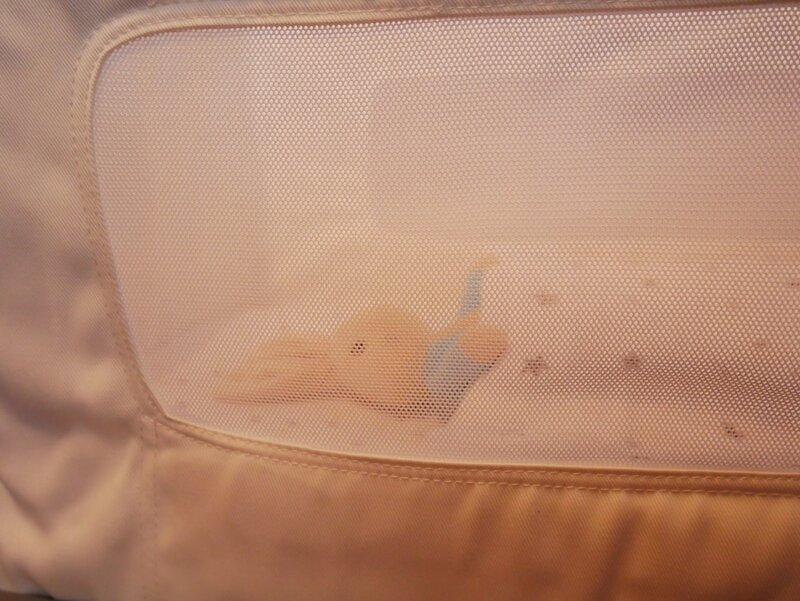 We bought a Moses Basket and some cellular blankets and we had her Cot Bed ready in her bedroom for when she needed to transition out of the Moses Basket. We had moved our bed into Lily’s room as she had a large double room at the time and we bought that it would be less unsettling for her at 6 months when we no longer shared a room if she was already in familiar surroundings. I’ll never forget the first time we put Lily in the Moses Basket; she screamed. Being naive first time parents we just thought it was a coincidence at the time. It later turned out that she completely hated the Moses Basket and on the advice of a midwife we moved her into her Cot Bed at the tender age of just 3 weeks old. She looked so tiny in there but she was a lot happier than she had been. As Lily has got older and I’ve come to know and understand her personality more I think there a few factors that affected her settling into the Moses basket. Firstly it had opaque sides and I think Lily got used to the hospital transparent sided cot the first couple of days of her life (I had an emergency c section so we spent the night and Lily’s first couple of days in hospital). Secondly, I think, like me, she is claustrophobic and doesn’t like to not be able to see her way out (thought quite whether this disturbed her at such a tender age I’ll never really know). The Moses basket was also quite flimsy (as they all are). It had a stand but was only made from wicker and I don’t think that gave Lily the support and security she craved and needed. I also think Lily got used to the rocking motion of the hospital crib and missed it in the Moses basket. When we found out we were expecting again my thoughts rushed to sleep; I could not possibly repeat the first three weeks that we had with Lily. 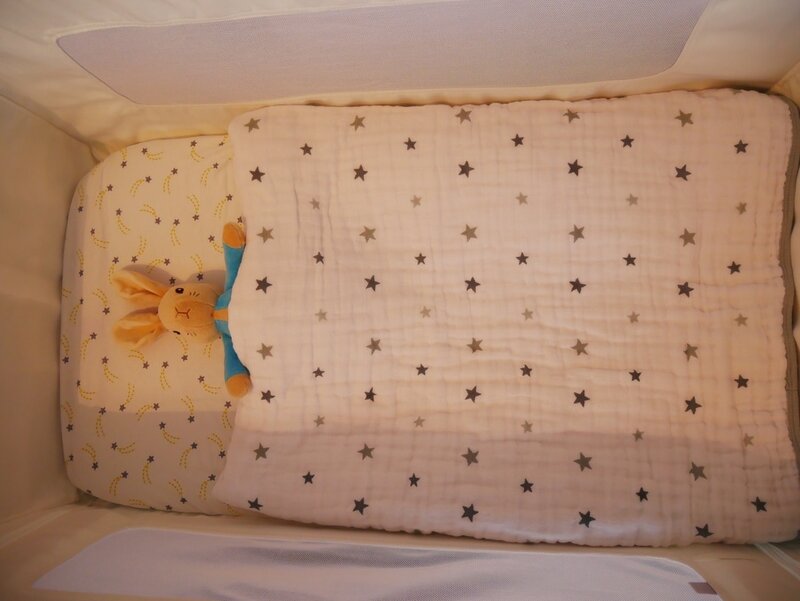 We had to do things differently this time; starting with the choice of where the baby would sleep. This time I wanted something that addresses all of the issues we had before with the Moses basket and I started researching the options thoroughly. I loved the look of the SnuzPod3 as it had everything that was on my checklist – a sturdy build, a transparent outlook so that they Baby could see us and feel more safe and secure. It also had lots of bonus features too like the ability to either be used as a freestanding crib or be attached to the parents bed with special fixings; meaning when I want to feed the baby in the night I can just unzip the sides and easily get the baby in and out; perfect for me if I do end up having a second c section. It has a rocking stand which is going to be great for settling the baby as Lily loved that in her hospital crib. It even has a reflux wedge – when Lily just days out her Moses basket was propped up on the floor by the yellow pages (at the advice of the health visitor) to help with her reflux. The best part for me is that the top section lifts off so I can use it downstairs in the day and upstairs on the stand at night; this will save us having to purchase an extra crib for the living room. Obviously I will move the top section when the baby is not in it as per manufacturer recommendations. I also love the design of the SnuzPod3 it is stylish and comes in a choice of modern colours; we chose the Dove Grey. The mattress is included so there’s no need to worry about measuring up and getting one the correct size and fit; that’s all done for us! There is a really handy compartment at the bottom which we will use to store nappy changing equipment such as changing mat and a little basket of nappies & cotton wool plus an emergency change of outfit! Once our little man is here I do some social media updates and a little video of us using the SnuzPod3; I will also let you know how the sleeping is going compared to last time! Disclosure: We were given the SnuzPod3 in exchange for an honest review.